I know what you’re thinking. 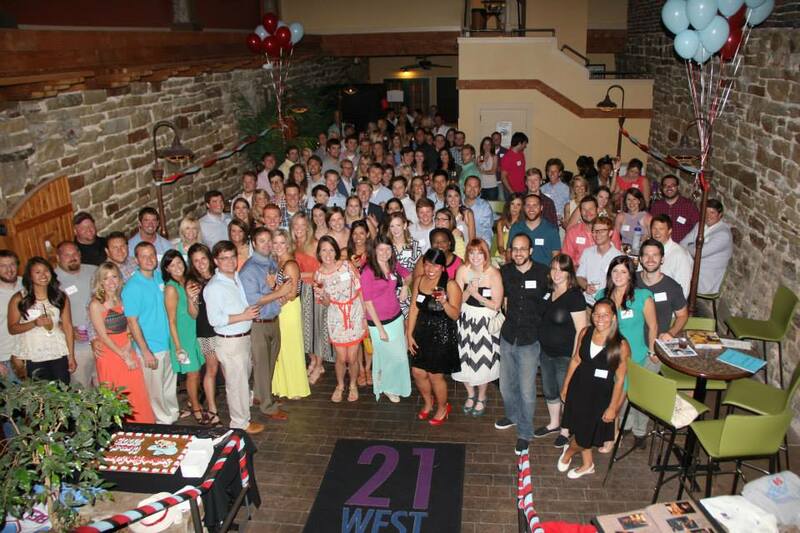 How can it be possible that I am attending my high school reunion already!? I am still thinking the same thing myself. How can a decade pass by so quickly!? 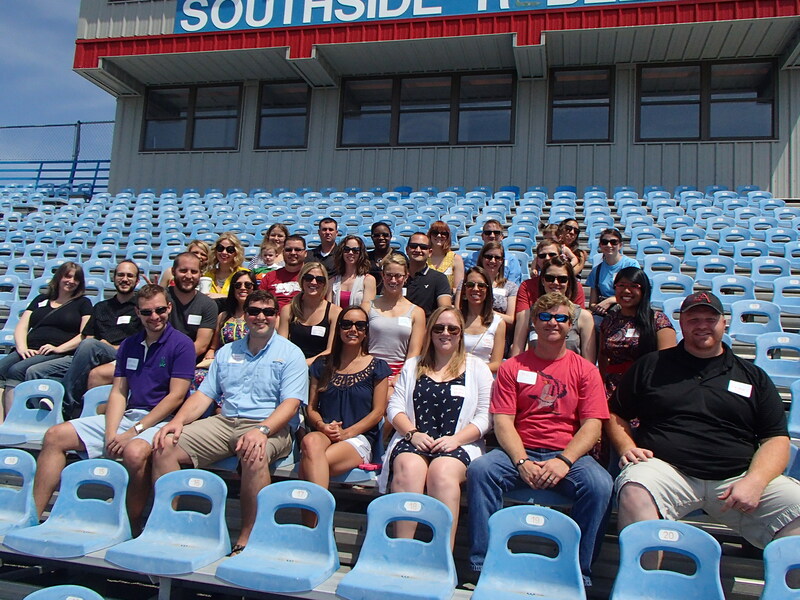 I attended Southside High School in Fort Smith, AR and really enjoyed my high school years. I was active in several clubs such as Advanced Placement English Seniors, Future Business Leaders of America, National Honor Society, Partners Club, Partners in Christ, Orchestra, Sophomore Council, Junior Council, and Senior Council. Being elected Senior Class President, I was bestowed the honor and privilege of planning our first, last, and all the class reunions in between. 2013 has come around and it was time to step up to the plate and I would have to say that my reunion planning team and I blew it out of the park! A big shout out to Lauren Murphy who was our Student Council President our senior year for all of her hard work. I also want to thank all the senior council members for their help and especially to everyone who attended. It was a success because of your presence! My class had 490 graduates who are all brilliant, beautiful, and kind individuals. Our class had a camaraderie that was really unique. Our senior year, we were state football champions and I was so honored to be chosen as the football homecoming queen. We had fun activities such as Powderpuff Football where the girls play touch football and the guys are the cheerleaders. Then, when we graduate, our parents put on Mash Bash which is a progressive party that happens after our graduation ceremonies. We jump on a bus around 10pm to Fort Chaffee for an all-night event of music, dancing, sports, dinner, and games that is alcohol/drug/tobacco free. There is a casino where you can gamble with your “Mash Bash” money so you can later spend on prizes and drawings. We stay at Fort Chaffee until around 2am when we head back on the bus and go back to our high school and have breakfast, receive awards, and prizes! I remember winning a Sony Alarm/CD/Radio player. 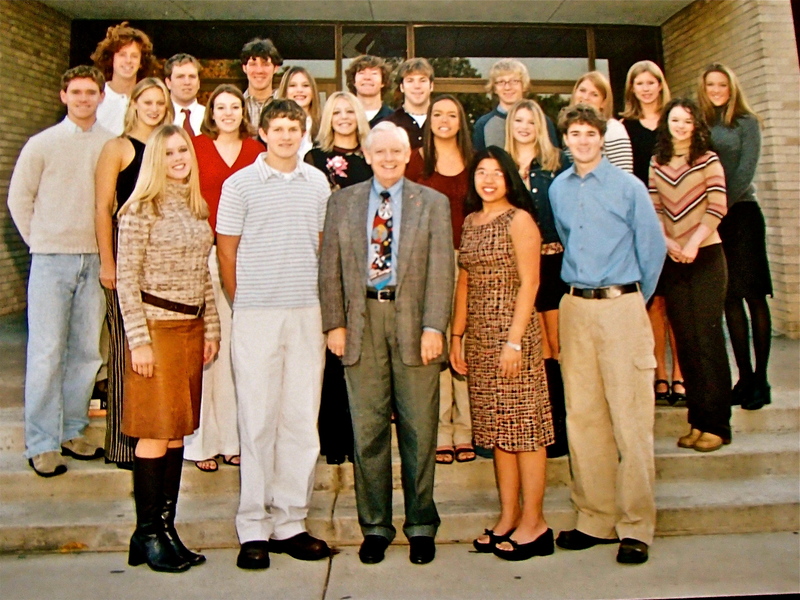 So many memories of high school including the photo below of all of the Senior Council members with our sponsor, former Mayor Ray Baker who passed away. Yes, he was our city Mayor, American History teacher, and Senior Council Sponsor. He coined the term “Life’s worth living in Fort Smith, Arkansas” and we will always remember his positive disposition and upbeat energy! We had about 200 people attend the various reunion activities planned for Saturday, July 13, 2013. In this day in age, people move around so we wanted to give as much advanced notice as possible. We informed our classmates six months ahead of time and planned a few different activities to make it worthwhile for those attending. We started the day with a high school tour with our principal, Mr. Wayne Haver, who is actually still the principal! He was fantastic and shared a lot of insightful information that we didn’t know when we were students especially with funding in regards to advanced technology for the students. We were fortunate to use the upgraded science, business, choir, orchestra, and band wings our senior year. The biggest upgrade since we had left had been the athletic training facilities and the football field. The facilities are amazing and it was so great to see positive and better things happen since we graduated. 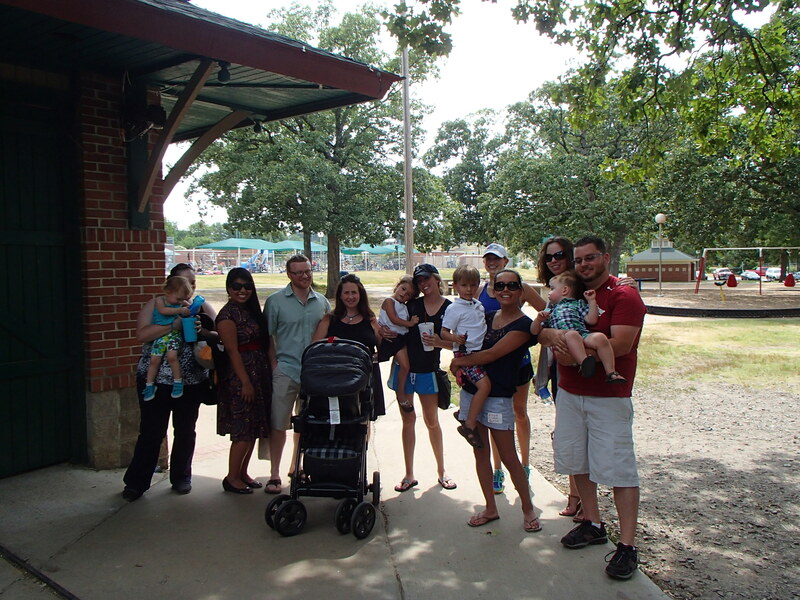 Then, we had a play date at Creekmore Park which is where many of us played when we were younger. They always have train rides in the summer and special activities which is a childhood memory we all share. We wanted to have a family friendly event so our classmates could bring along spouses and their children to meet one another as well as classmates who also wanted to meet the little ones. The evening event was “Reunion Cocktails” which was held at 21 West End which was not open when we were in high school. They were so great to work with and we were able to offer an open bar and heavy hors d’oeuvres. The hors d’oeuvres were excellent and we had an awesome cookie cake! We brought many of our memorabilia including yearbooks, t-shirts, newsletter, photos, and more which everyone enjoyed. We also had a photo booth which was super fun. We had a great time reminiscing with one another and it was a memorable evening. Everyone looked great! The reunion provided a unique opportunity to catch up amongst old friends and especially for those of us who hadn’t seen each other since we all graduated. Class of 2003. You’re a classy bunch and I am excited to see how we progress as a class over the decades. Go Rebels! See you in 2023. Love these pictures! Why am I not surprised that you were Class President and Homecoming Queen? 🙂 Love you! Hi Lady! Thank you so much for reading my posts. 🙂 It means so much to me and I am so glad you enjoyed the pictures.